At Akademy 2015, one of the most awaited keynotes this year shall be that by Matthias Kirschner and here we have a conversation with his charming self in person. For all those who need a reason to change their mind to attend Akademy, Matthias gives many more. Hey there, I am Matthias from Berlin, I work for the Free Software Foundation Europe, and I love it. Describing oneself is one of those really difficult tasks, you will hopefully know a little more about me after this interview. Or better still, why don't you just find out for yourself at this year's Akademy! 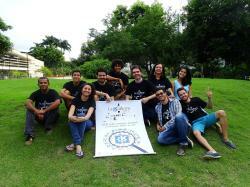 Repeating what became a constant on last years, KDE project is bringing an eventful series of presentations and activities on community driven software to the FISL, the Fórum Internacional de Software LIvre, which will be realized at Porto Alegre, south of Brazil, starting July 7. The talks program for Akademy 2015 is now available. Details for organizing BoFs will be announced later. 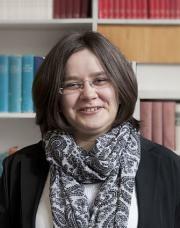 Lydia Pintscher, our very own KDE e.V. Board President and a gem of a person; will be giving the Community Keynote Talk at Akademy 2015, in A Coruña, Spain. This is just a tiny peak into her brain for all that is in store for you in her talk. 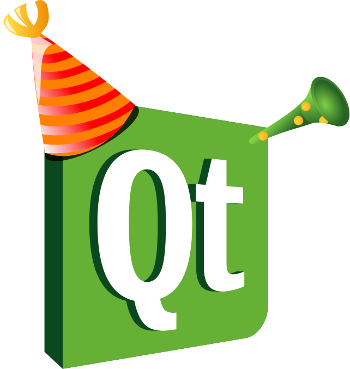 Today we celebrate 20 years since the first release of Qt was uploaded to sunsite.unc.edu and announced, six days later, at comp.os.linux.announce. Over these years, Qt evolved from a two person Norwegian project to a full-fledged, social-technical world-wide organism that underpins free software projects, profitable companies, universities, government-related organizations, and more. It's been an exciting journey. The work on unified graphics for GCompris was completed in the time allocated by the fundraiser. Here is a video to show the result. 15% of the goal was funded, so not all of the work could be completed in the time proposed. But there are updates to all the core components, the main menu with all the activities icons and a good bunch of activities. Building on the success of conf.kde.in 2014 at Dhirubhai Ambani Institute of Information and Community Technology (DA-IICT) in the land of Gujarat, the horizon of the KDE Community is broadening and shifting south. conf.kde.in 2015 takes place on the 17th and 18th of April at Amritapuri in Kerala, India. As in previous years of the conference, conf.kde.in 2015 will promote the spirit of free and open source software (FOSS) and offer ideas to build awareness about FOSS culture at the collegiate level, the time when most technology students have their first interactions with Open Source. There will be particular emphasis on KDE technology, and on Qt, the popular cross-platform application framework.